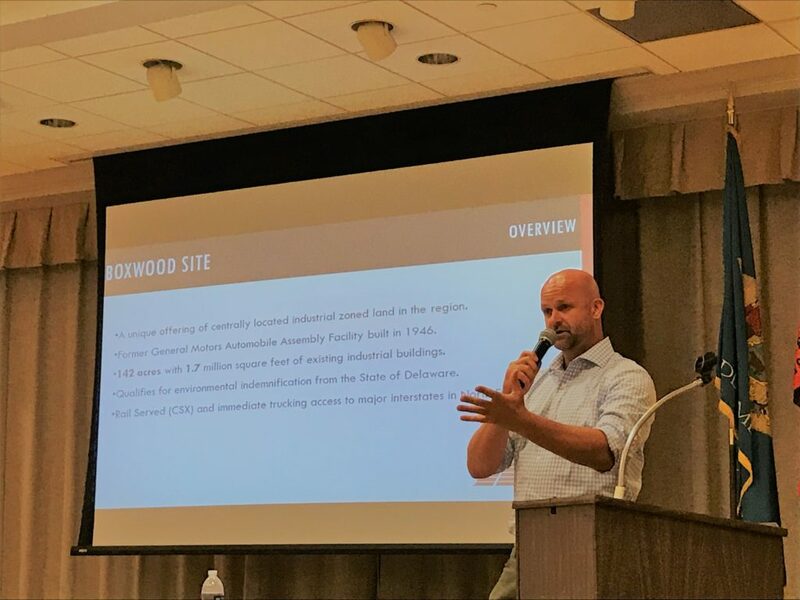 Last week, Harvey Hanna & Associates had the pleasure of convening with residents, officials, and other members of the Wilmington-area community to discuss our current and future plans for the former General Motors plant on Boxwood Road. Along with representatives of the Delaware Department of Natural Resources and Environmental Control, our engineering firm Apex Engineering, and a number of area elected officials, we heard plenty of positive feedback from residents excited about our plans to create a modern business and distribution campus at the plant property. We also heard several quality-of-life concerns about the changes that would accompany its transformation. As a local firm with deep ties to New Castle County, we remain committed to maintaining an open dialogue with residents throughout this process, and will schedule future meetings every 4 to 6 months to ensure the highest degree of transparency and public input. While a new business campus will not generate the same level of activity than the GM plant at its peak, it will have far-reaching implications across Wilmington and the rest of the region. By continuing to work together, we can help create thousands of new jobs, and a better, more prosperous future for our community. Sign Up for the 9th Annual Delaware KIDS Fund 5K Run/Walk Today!